Actress Richa Chadda has many reasons to celebrate her birthday this year. Richa Chadda last comedy film has been was appreciated by one and all, not only the critics but also the audience loved her so much. Richa has already gifted herself a pre birthday gift in form of a luxury car but that’s not it someone special in her life has given her the best gift this birthday. 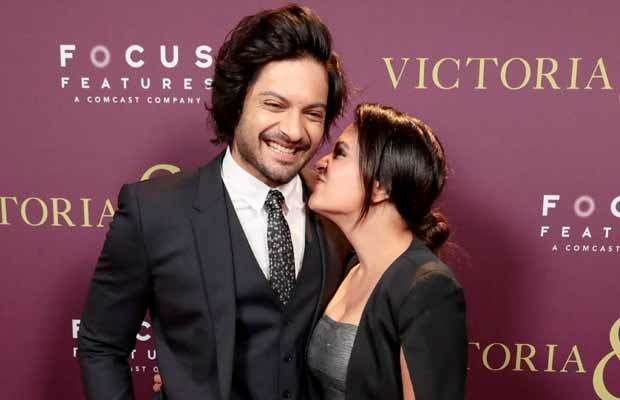 We all know how much she loves animals, Ali Fazal gifted her a cat as her pre birthday gift. Richa is an absolute animal lover and has always been expressive and supportive for animal welfare. She already has a cat in Mumbai called Kamli and has been toying with the idea of adopting another car. Ali gifted Richa an early birthday surprise with another cat joining her Mumbai family and has named her Jugni! Varun Sharma AKA Choocha Visits Theaters After Fukrey Returns Success To See Live Reactions! Previous articleNawazuddin Siddiqui Lashes Out At Ex-Girlfriend Sunita Rajwar! Next articleBigg Boss 11: Hina Khan Makes SHOCKING Revelation About Boyfriend Rocky Jaiswal!